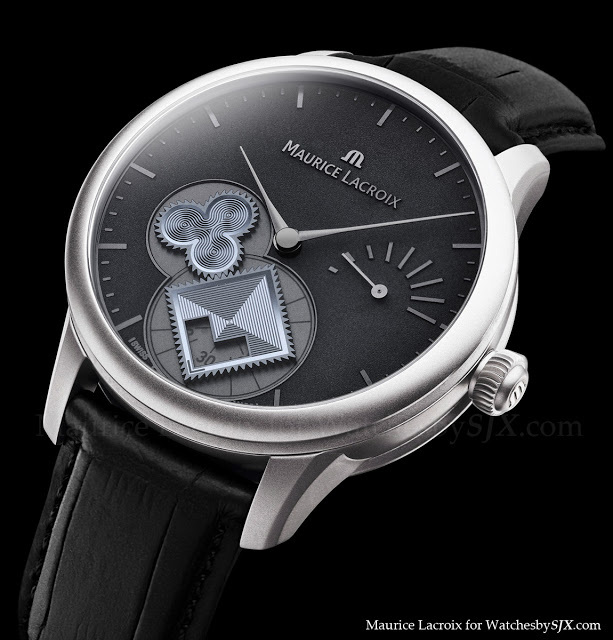 Maurice Lacroix’s contribution to Only Watch 2011 is a unique Masterpiece Roue Carrée Seconde. 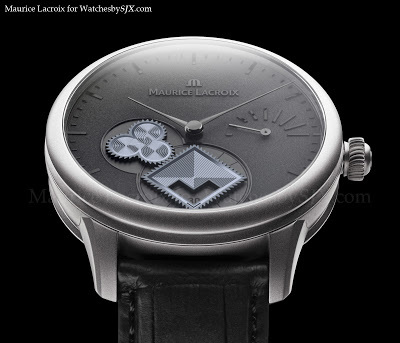 The Masterpiece Roue Carrée Seconde is so named for its non-round gears on the dial – the seconds is indicated by a square wheel which is itself driven by a cloverleaf-shaped wheel. Because the gears are not round, the teeth are have to be precisely irregular in order to mesh correctly. 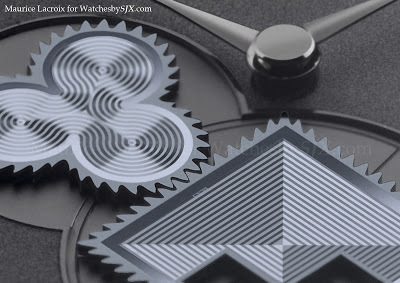 So the gears are etched from silicon Sigatec and decorated with a motif that echoes the shape of the gears. 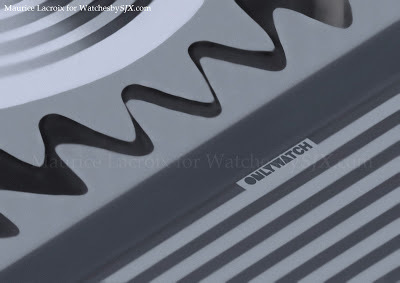 And because they are etched from silicon, it is possible to etch a microscopic Only Watch logo is on the square gear.